Shimmerz Paints: Mixing it up! Hi! Lori Renn here. I love mixing up my Shimmerz paints! It's fun to mix the different products as well. On this layout, I mixed Island Salsa Blingz (bright and glittery) with Ballet Slipper Pearlz (soft and opaque) and I came up with the perfect shade of sparkly coral to match my layout! What do you think? Try it! Mix up your colors and products. It's fun to see what you come up with! Gorgeous effect. The blend is perfect for your beautiful page. 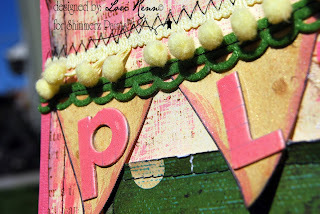 Lori this is awesome - love the way it comes out! 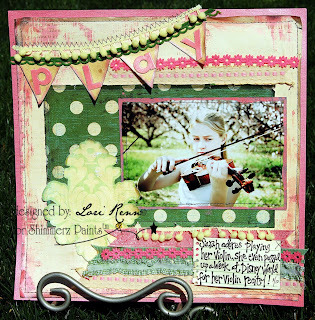 Beautiful page, Lori! And I love how you mixed the colors!! I also love mixing colors. Your page is very beautiful! 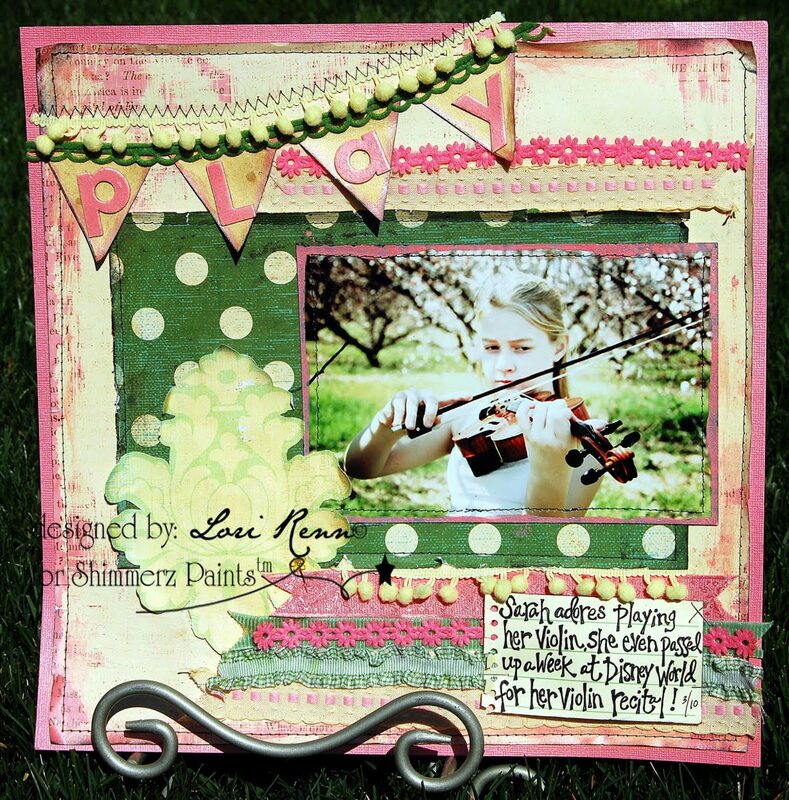 Stunning Page and I love how your blended the colors to mix it up!!! What a great idea! Love that cute banner! It's all just yummy. Outstanding work.